Skincare products have been all the rage for Filipinos in recent years and 2019 is looking no different. In fact, the local beauty industry seems to be expanding. From makeup to haircare (because the scalp is part of the skin), more and more Filipinos are paying attention to skin health. Perhaps one of the reasons the country has fallen in love with skincare is because of the hot and humid weather. The heat makes people’s skin dry, flaky, and itchy. Also known as pruritus, itchy skin and scalp are uncomfortable and sometimes even painful conditions. The weather isn’t the only thing to blame, though. Several factors may cause itchy skin and once you know what they are, it will be much easier to heal those issues with malunggay oil which is readily available in the Philippines. Yeast is a fungus that naturally lives on the scalp and other hairy areas of the body. Overgrowth of yeast, however, causes itching and flaking, resulting in dandruff. This is another infection of the scalp caused by a fungus, this time from a dermatophyte. Tinea capitis is commonly known as ringworm and appears as raised red patches on the scalp with black dots. This fungal infection extends deep into your hair follicle, causing hair loss that may get worse over time. Head lice can invade anyone’s scalp. Whether you’re male or female, young or old, you’re not safe. Head lice also do not discriminate between clean or dirty hair. They’re out for human blood and cause extreme itchiness in the scalp. Psoriasis can happen on any part of your skin, including the scalp. It’s an autoimmune disease that causes the rapid buildup of skin cells. As a result, people suffering from it have itchy, scaly skin surfaces with redness. Pro tip: don’t look up the images. A yeast-like parasitic fungus, Candida, usually occurs in the folds of the skin like the armpits, buttocks, and between fingers. Candida causes itching, stinging, and painful red rash. Left untended, it progresses to cracked and sore skin with blisters and pustules. Eczema isn’t a lone skin disease, but actually a group of skin conditions that irritate the skin. Affected areas appear thick, dry, or scaly. Rashes develop when parts of your skin come into contact with things that cause allergic reactions. These things may include medications, food, and skincare products. 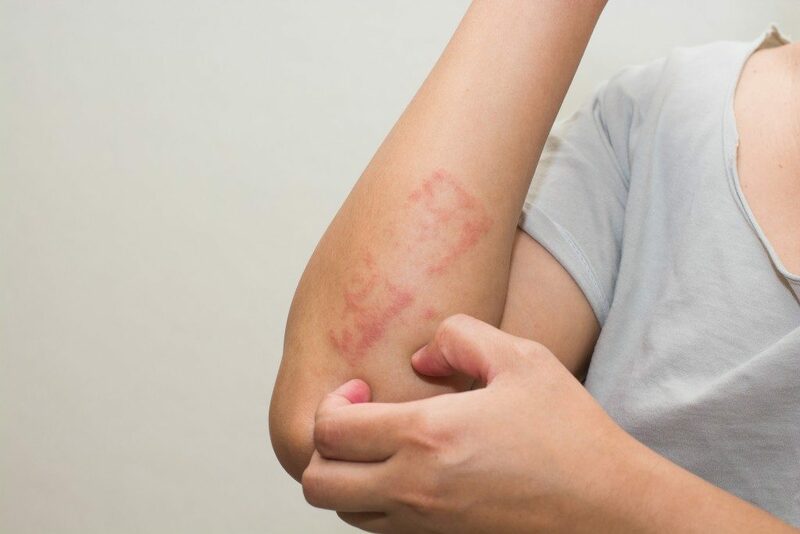 Skin rashes appear as small bumps on the skin that are often red and itchy. Much like hair lice on your scalp, insect bites, such as that of mosquitoes, cause itching. This is because the immune system detects the insect’s saliva and attacks it by releasing histamines, causing your skin to itch. While it’s tempting—and normal—to want to scratch the itchiness on your skin and scalp, it’s better not to. You’ll likely end up damaging your skin even more. Instead, consult a dermatologist or a doctor who can prescribe you with the proper medication.